How Long Will My Broken Foot be Casted? So, you’ve broken a bone in your foot or ankle and now, you want to know…how long will I be stuck in this cast or walking boot? So, with slow healing times and tons of body pressure bearing down on your feet, you should expect to be in a cast for quite some time…right? Well, as it turns out, that may no longer be the case! Findings just published in the British Medical Journal , researchers in Finland discovered that people with broken ankles recovered just as well when their casts were removed after three weeks as compared to the traditional six-week marker. Researchers from Oulu University Hospital followed 247 patients with broken ankles that hadn’t required surgical repairs. 84 of them wore a cast for six weeks; 83 had their casts removed after three weeks; and 80 spent three weeks in an ankle brace with no cast. The researchers followed up with all participants six, 12 and 52 weeks after their fractures to see how they were healing. They were also tested to monitor their ankle’s function, mobility and pain levels. And the results were quite surprising: at the one year mark, all the participants had recovered well, with no glaring differences in the healing process. What was different? The participants who had been casted or braced for just three weeks had better mobility than those who’d spent six weeks in a cast. This finding is great news for people dealing with broken foot bones. 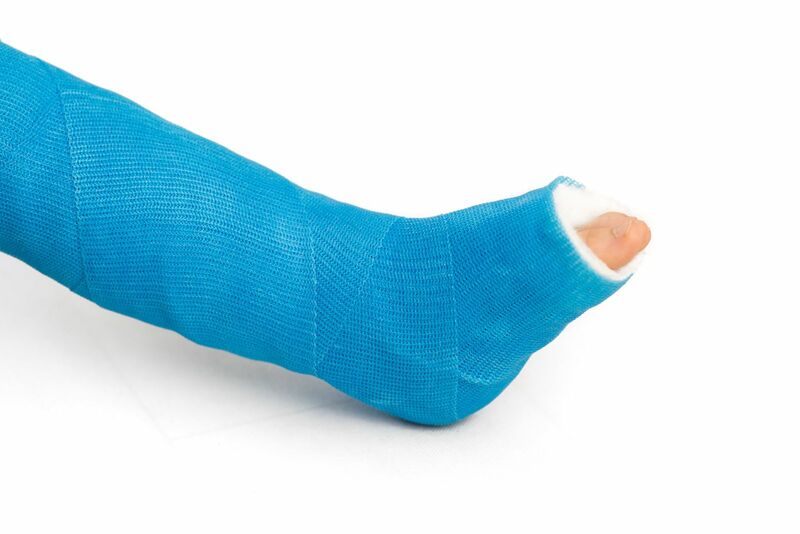 Casts are helpful when it comes to the healing process, but they also present potential risks: spend too log under plaster and your limbs can become stiff, while your skin gets pale and rough. Your blood vessels could also become blocked, raising the likelihood of clots or other potentially dangerous conditions. It’s important to note that these findings only apply to patients with stable fractures (non-complex breaks that don’t need to be set with surgery.) And, even if you spend less time in a cast, you still may not be ready to resume regular activities like exercise or driving until you hit the six week point of your recovery process. Still, as anyone who’s struggled to scratch an itch, shower or even get dressed while rocking a foot cast, this finding is definitely exciting. So, if you or a loved one has a broken bone in your foot or ankle, make sure to discuss your casting timeline with your podiatrist. You may be able to shave off a few weeks from your time under plaster!